Musi­cal score of a con­cep­tual work by Mark Tim­mings co-composed with Stephen Mor­ris. Per­formed by the Van­cou­ver Cham­ber Choir under the direc­tion of Jon Wash­burn as part of the event pro­gram­ming for DEADHEAD, a float­ing sculp­ture by Cedric, Nathan and Jim Bom­ford, pre­sented by Other Sights for Artists’ Projects. 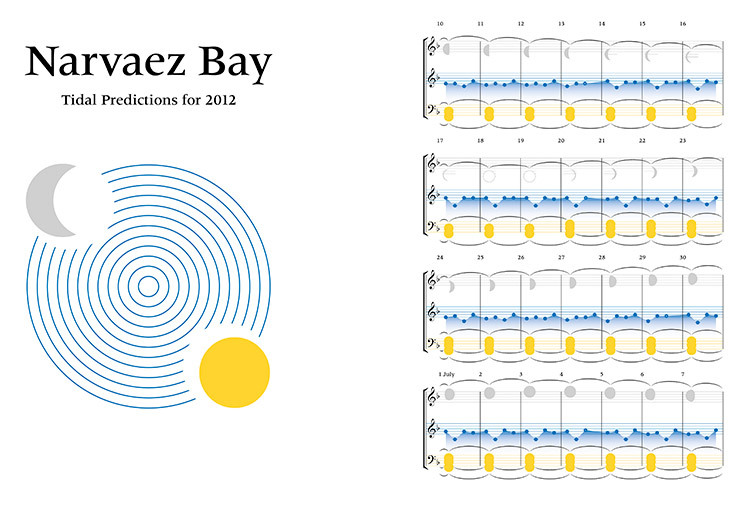 The score for Narvaez Bay: Tidal Predictions for 2012 forms a calendar in which the daily tide levels predicted to occur over the course of a year are transcribed onto a musical scale. Lunar cycles and the advent of solar equinoxes and solstices are also transﬁgured in this way. 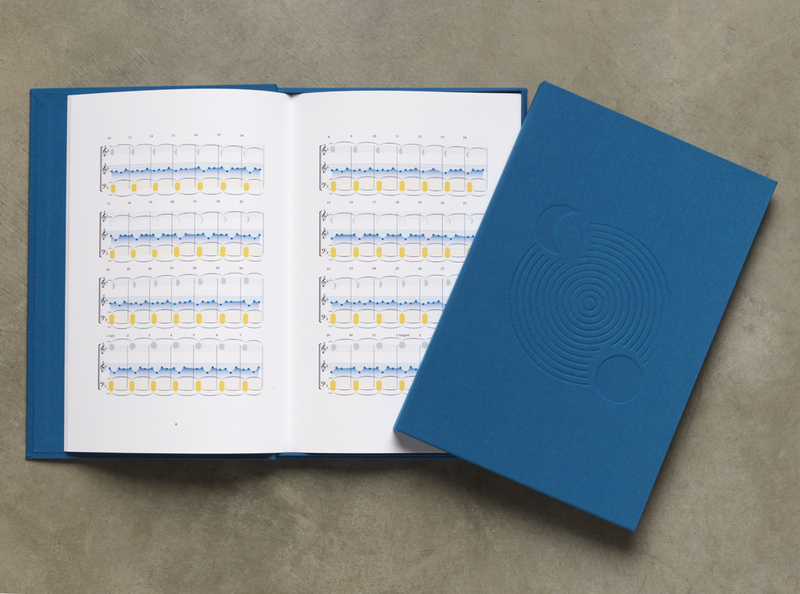 Invoking the renaissance tradition of Augenmusik (Eye Music), traditional musical notation is replaced with iconographical elements representing moon, tide and sun. The ensuing three-part score offers a representation of the tension at the heart of tidal dynamics. In performance, the rhythmic rise and fall of ocean levels as inﬂuenced by the sun and the moon are embodied in the inhaling and exhaling breath of human voices, creating a seamlessly ﬂowing interface with natural cycles, which conjures a universe in constant ﬂux. The score includes performance notes. Contact the artist for purchase inquiries.